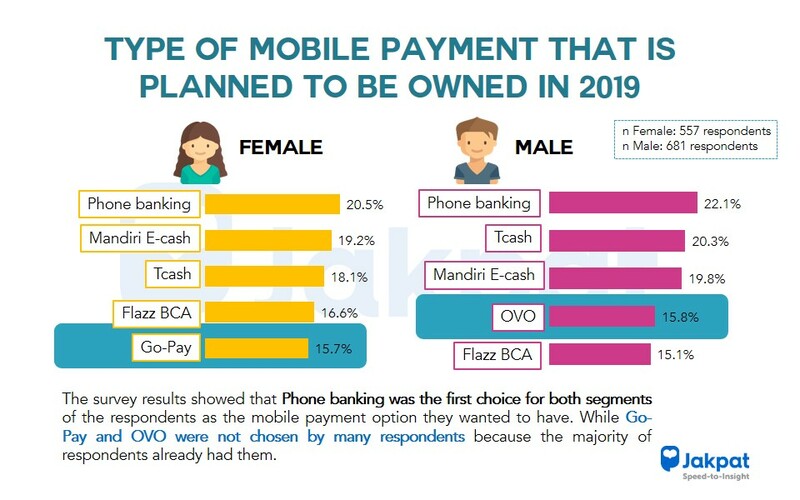 The increasing trend of smartphone penetration in Indonesia and cashless society has a huge potential to develop mobile or digital based payment systems. Currently, the mobile payment market in Indonesia is growing crowded as companies rush to tap unbanked population and they offer practicality and convenience to users. Even today most banks have used digital technology as part of the company’s strategy like BTPN (Bank Tabungan Pensiunan Nasional) and DBS (The Development Bank of Singapore Limited) which launched Jenius and Digibank services. This application allows people to conduct financial activities, such as saving and transferring money via smartphones. In 2017, Jakpat conducted a survey to predict the trend of digital cash usage among our panel. 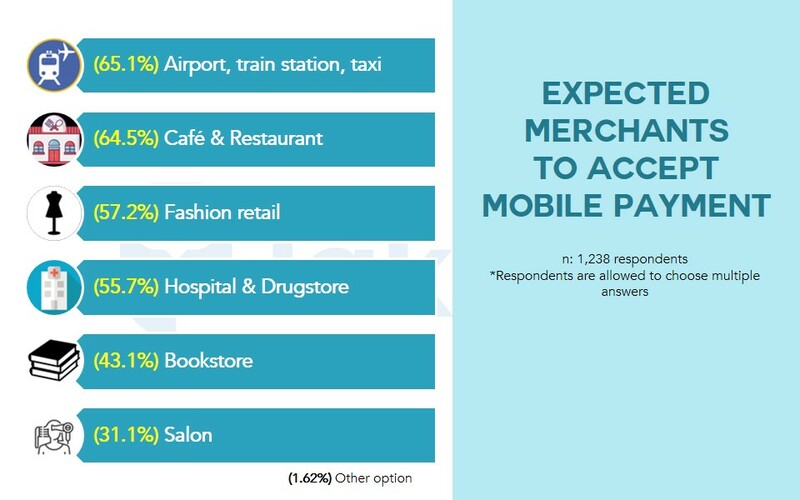 The survey result stated that most respondents planned to use digital cash more frequently for their daily needs such as groceries and utility payment. However how about the trend of mobile payment in 2018? Who are the main players in this industry? 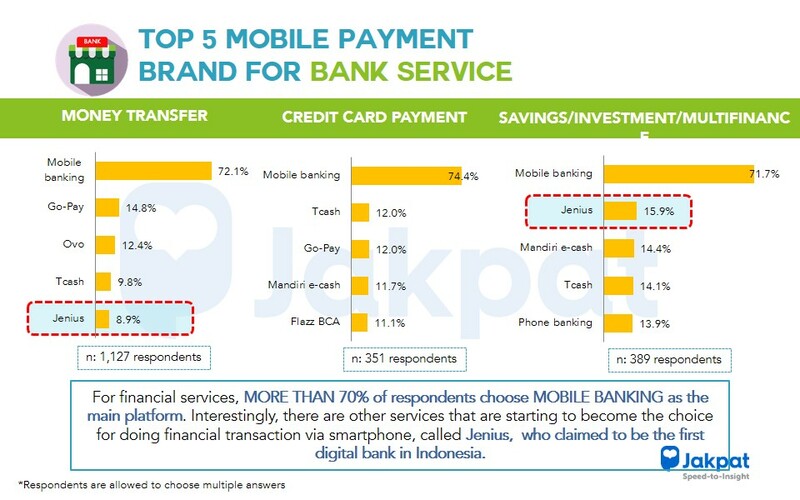 Relevant to that matters, JAKPAT has conducted a survey among 1,894 respondents across Indonesia in order to see the trends as well as major players in Indonesia’s mobile payment industry 2018. Other objectives are to predict the trend of 2019 mobile payment usage among our panel. 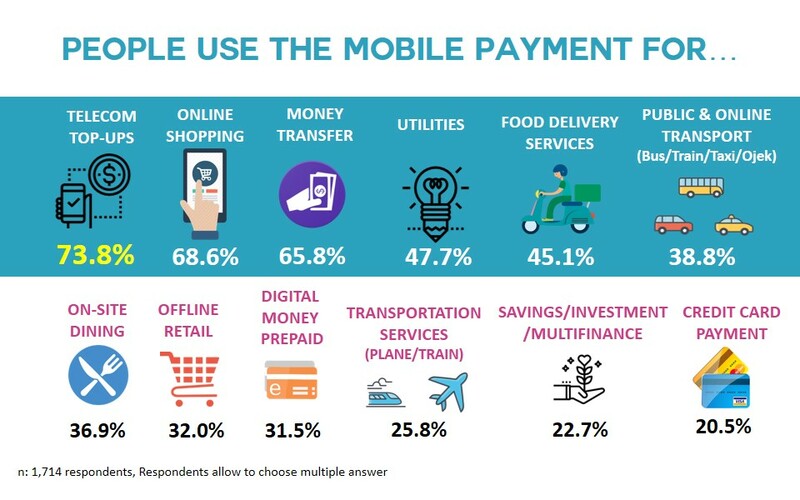 This report offers an insight for those who would like to understand further about mobile payment usage and trends in Indonesia. This entry was posted in Download Reports, Financial, Mobile on November 12, 2018 by Dea Komala.